The Portland Water District is providing two opportunities to learn about water treatment and protection during National Drinking Water Week. Protected Source. Reliable Process. Safe Water. PWD staff work 24-hours a day to treat and test your water, disinfecting an average of 21 million gallons of water per day. 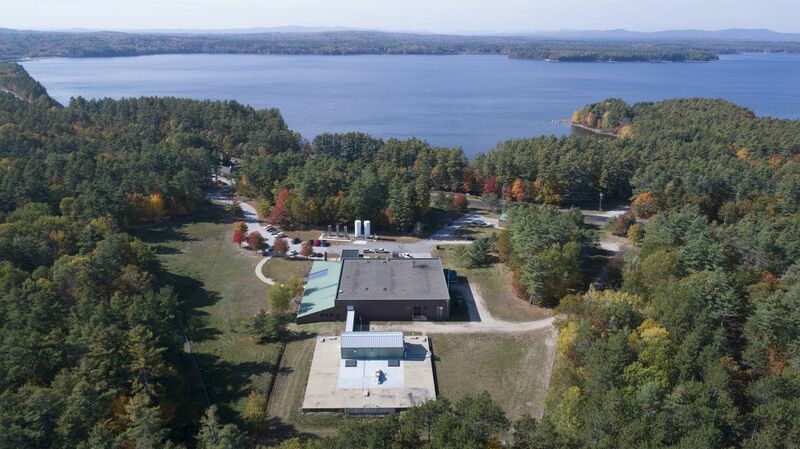 Tour the Sebago Lake Water Treatment Facility and learn how ozone, ultra violet light (UV), and chloramines are used to treat your drinking water. The tour includes a visit to the laboratory, where scientists will discuss how the quality and safety of your drinking water is tested. This event is geared toward an adult audience. Healthy Forests. Clean Water. Quality Beer. Much of the land that drains to Sebago Lake is covered with forest. These forests act as a filter, naturally producing exceptional water quality. Yet only 10% of this forest is conserved – meaning development could eventually cause lower water quality and higher water treatment costs. A new effort called Sebago Clean Waters (SCW) is underway, linking the community to forest conservation – to protect our water, wildlife, and way of life. Dozens of local breweries rely on this water, too. Beer is 90% water; delicious beer begins with outstanding water. Select breweries are collaborating with PWD, SCW, and Loon Echo Land Trust to provide beautiful slideshows and information in tasting rooms at various times throughout the week. Staff from these organizations will be available to answer questions at some locations. Water & Forest staff: Friday, May 10, 4-7 p.m.
Water & Forest staff: Wednesday, May 8, 3-6 p.m.
Water & Forest staff: Saturday, May 11, 1-4 p.m.
Water & Forest staff: Saturday, May 11, 2-5 p.m.
Special Drinking Water Week brew: Crooked River Crasher, a Vienna Lager that is amber in color with an ABV 6%. Aptly named, the Crooked River is Sebago Lake’s largest tributary, contributing nearly 40% of the surface water flowing into the lake. Geary’s Brewer and Operations Manager used to canoe the Crooked River, known for its white water. Water & Forest staff: Friday, May 10, 4-7 p.m. & Saturday, May 11, 1-3 p.m.
Water & Forest staff: Thursday, May 9, 4-7 p.m.
Water & Forest staff: Thursday, May 9, 4-7 p.m. & Friday, May 10, 4-7 p.m.